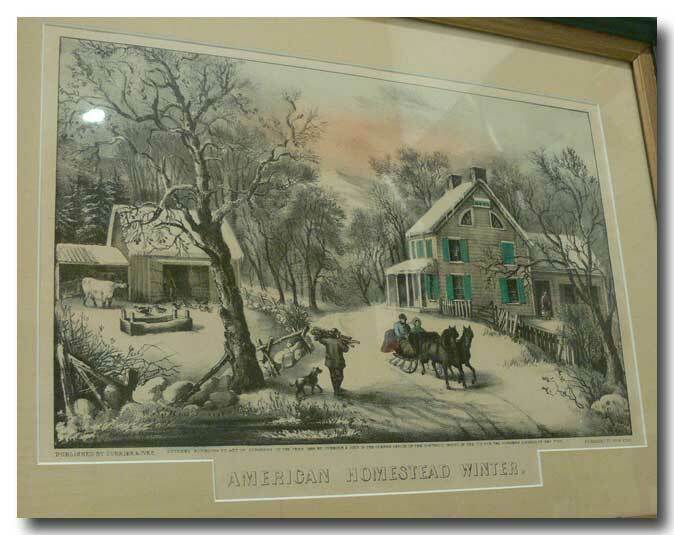 ONE OF CURRIER & IVES MOST POPULAR PRINTS WITH THE HIGHEST VALUE APPRECIATION “AMERICAN HOMESTEAD WINTER” IS A SMALL FOLIO, HAND-COLOURED LITHOGRAPH PUBLISHED AND ENTERED ACCORDING TO ACT OF CONGRESS IN THE YEAR 1868 WHILE AT 152 NASSAU ST., NEW YORK. 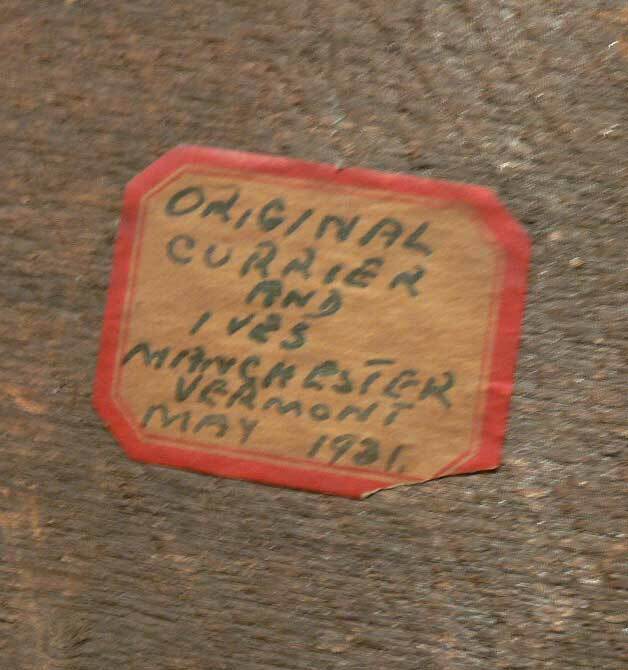 THE PERSON I BOUGHT IT FROM HAD ORIGINALLY PURCHASED IT FROM A VERMONT ANTIQUE DEALER IN 1931 AND THAT TAG IS STILL ON THE BACK. 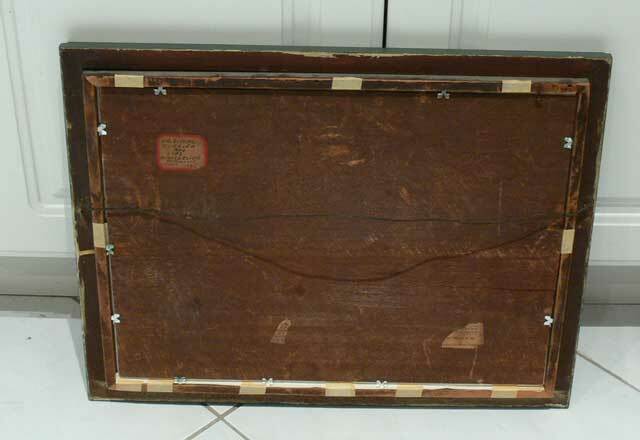 SET UNDER GLASS IN AN EARLY SQUARE-NAILED FRAME WHICH HAS BEEN REPAINTED & FEATURING AN ACID-FREE MAT, BACKING & MOUNTS. THERE IS LIGHT BUT EVEN TONING AND NO FOXING, STAINS OR TEARS. APPROX. 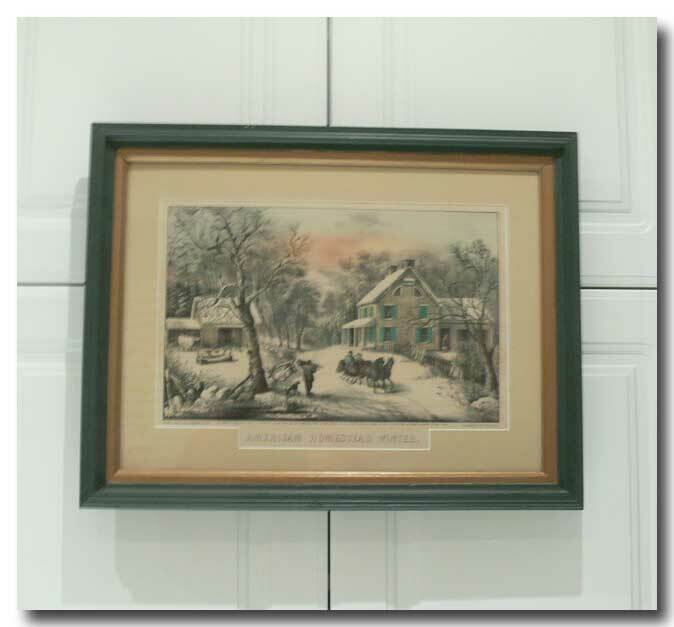 SIGHT SIZE OF PRINT IN INCHES: 13” W. X 8” H. FRAMED 18 ½” X 14”.